 180 North Jefferson features luxury boutique apartments in the West Loop of Chicago. Just blocks away from the Chicago Loop and the River North neighborhood, our boutique apartments provide the amenities and features you need to enjoy a luxurious and exciting lifestyle. Right in the middle of the West Loop's fantastic shopping, dining and entertainment options, 180 North Jefferson provides an elite luxury living experience with a state-of-the-art rooftop fitness center and outdoor terrace that offers some of the best views of Chicago.